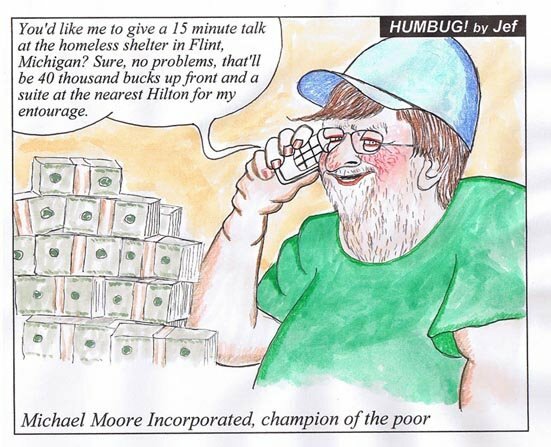 Michael Moore takes great pains to cultivate a "stick it to the Man" persona. You know, take on the rich corporations and greedy individuals on behalf of the poor and powerless. But Moore himself is rich, and he is embedded at the centre of an ever-richer and bigger corporate enterprise. Well done Mike, keep up the facade. The world needs its sanctimonious hypocrites to make the rest of us feel virtuous.